1. Q. What can I do to avoid having to come in 30 minutes early for my appointment? A. If you are a New Patient, you will have to fill out a long Patient Questionnaire. This must be completed before you see Dr. Ricca. If you would like to complete the Questionnaire before your visit, you may do so by downloading it from this site and printing it out. Or, you can come by the office to pick one up. Either way, if you have completed one, you don't have to be here 30 minutes before your actual appointment time. 2. Q. Why are the waiting times sometimes long for appointments? A. Dr. Ricca spends as much time as necessary with each patient. Some patients require more time and study than others, resulting in an occasional backlog of the day. He will go over all studies and answer all questions. He won't leave the room until you have both come to an agreement on the next step in your care. He does this for the patient before you so you can be assured he will do the same for you. 3. Q. What time do I need to arrive for my appointment? Do I need to arrive early? A. When you need to be at our office for your appointment depends on several factors. If you are a new patient seeing Dr. Ricca for the first time (or even if you have seen Dr. Ricca in the past but not at this clinic), you will have quite a bit of paperwork to fill out before he can examine you. In order to complete this in time, you should arrive 30 minutes before your actual appointment time. If you have picked up a patient packet or downloaded one from this website and completed it, you can arrive 5-10 minutes before your appointment time. If you are an established patient coming for a follow-up or return appointment, you can arrive just before your appointment. 4. Q. Do I need to bring anything with me to my appointment? A. For every appointment, please bring your insurance cards as insurance information often changes. Also bring a copy of any studies (CT, MRI), either actual films or discs, that you have recently had. Dr. Ricca can best evaluate you if he can read the studies himself, not just the reports. 5. Q. Can I bring someone with me to my appointment and if so, will they be able to see Dr. Ricca with me? A. Dr. Ricca encourages patients to bring at least one family member with them to their appointment, particularly if it is a follow-up appointment to go over studies and discuss possible surgery. It always helps if family members are there from the beginning to hear the issues and be able to ask questions. Due to limited exam room space, only 1 or 2 people may be able to go back with the patient for the visit. 6. Q. Why does my PCP (Primary Care Physician) have to see me first to consult Dr. Ricca? A. 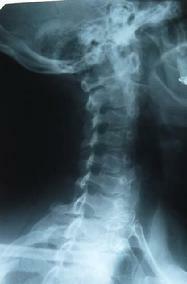 Many problems that cause back and neck pain do not require surgery. If your medical doctor finds that your condition does not require ultimate surgical intervention, he/she may not think a visit to Dr. Ricca is necessary and may either begin treatment himself or send you to another specialist for evaluation and treatment. If she does decide to consult Dr. Ricca in your case, her office will be able to give our office the information we need to care for you. He will also be able to order the necessary radiology studies that Dr. Ricca will need to evaluate you at your visit with him. 7. Q. If I've already seen Dr. Ricca in the past, why am I required to be seen by my PCP in order to be seen again? A. If it has been a year or more since you have been seen by Dr. Ricca, you will need to be evaluated by your family doctor to make sure that your present problem is indeed one that needs a neurosurgeon. A lot can change in a year and if you do need to see us, your primary care doctor can order the tests necessary for Dr. Ricca to evaluate you properly at your first return visit. 8. Q. Why do I have to bring my insurance cards to every visit? A. Insurance information changes often, sometimes when we are not aware of it. We ask that you bring your insurance cards with you so that we can copy them and verify your information. This will hopefully avoid delays later, particularly if Dr. Ricca schedules tests or procedures. 9. Q. Why am I asked to to check my information at every visit? A. Our office strives to keep our patient database as accurate as possible. This benefits our patients in several ways: If we need to communicate with you for any reason, we can do so quickly without delay. This is especially important when it involves your medical and surgical care. Accurate information also allow insurance claims to be paid in a much more timely fashion, causing fewer billing issues. 10. Q. How long will I have to stay in the hospital after my back surgery? A. Most low back surgical procedures will not require an overnight stay. After a short stay in the hospital for a few hours to ensure recovery from anesthesia and establish a level of pain control, you will be allowed to go home to continue your recovery.